Xiaomi is going to do something next year, which will be a part of the headlines for several days. 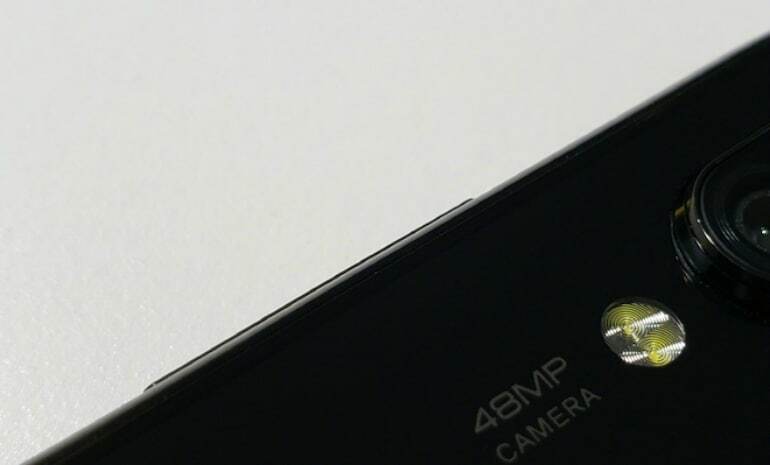 The company plans to launch a smartphone with a 48-megapixel camera sensor. Xiaomi's President Lin Bin has disclosed this plan by sharing a picture on Chinese microblogging site Weibo. In the Qualcomm 4G / 5G summit held in October, Shomei India's chief Manu Kumar Jain had said that the company will launch a new phone with Snapdragon 675 processor next year and this new processor also supports the 48-megapixel sensor. It is possible that Manu Kumar Jain and Lin Bin are talking about the same smartphone. The market of speculation is hot that Shoomy will bring Snapdragon 675 processor and smartphone with a 48-megapixel sensor. Lin Bin posted a picture on Weibo. It looks like a part of the smartphone. It is clear from the photo that the rear lens is of 48 megapixels. In this post, he also wrote that he has been testing this phone for the last few weeks and will be presented in January. What is the name of this phone? The answer to this question is not found. But more information about the phone is expected when the launch is close. In July, Sony launched the Sony IMX586 sensor. It is effectively 48 megapixels, with 0.8 microns pixels. Sony started sending its samples to the manufacturer companies in September. It is possible that xiaomi is testing this sensor by integrating it into his next device. Apart from this, the new smartphone can also have the Snapdragon 675 processor, which Qualcomm launched in Hong Kong in October. It is made from 11 nm LPP process technology. It has support for snapshots up to 48 megapixels. In the same summit, Manu Kumar Jain had said that the new device of the company will have Snapdragon 675 processor. Maybe Lynn bin and Manu Kumar Jain are talking about the same device.